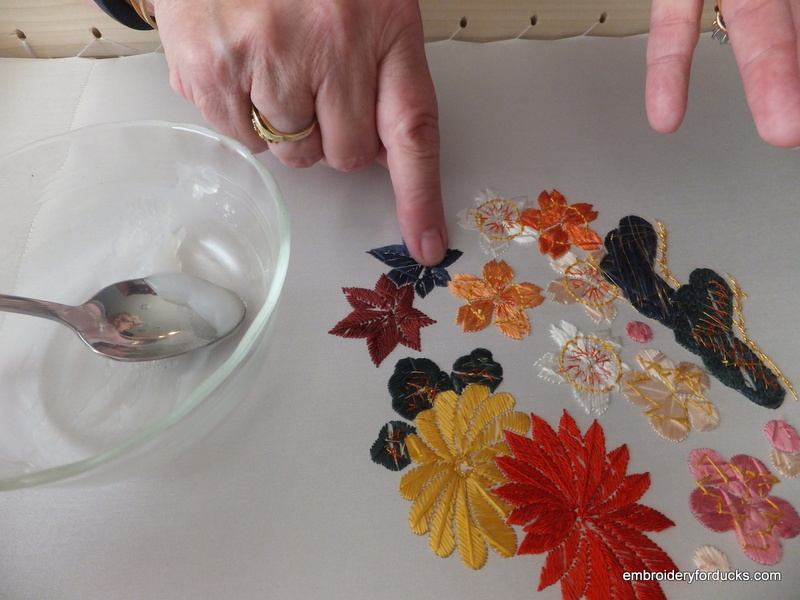 Here is my teacher explaining how to paste the back of a finished Japanese embroidery. It turns out you don’t just cut it off the frame – you paste the back and steam the whole thing. It’s complicated! And here is the front! I am very pleased. 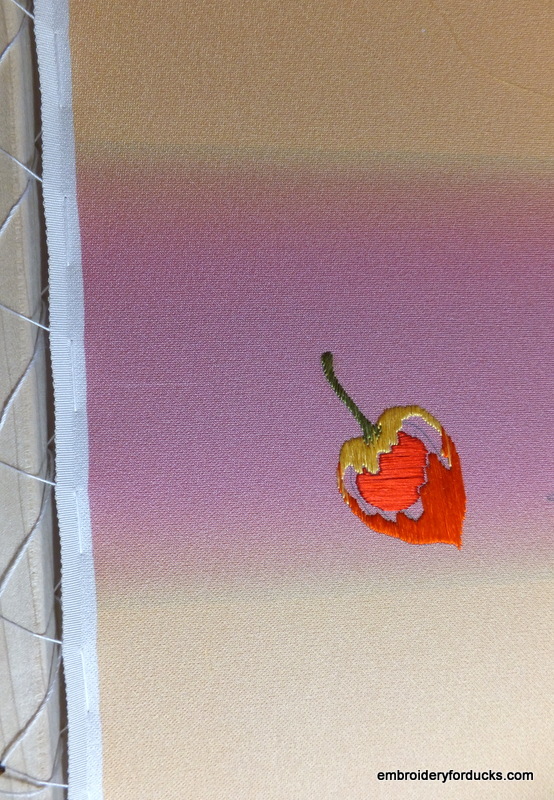 In fact, I have now started a new Japanese embroidery project! Sneak peek below! It’s on a colored silk background. 11 Responses to Hanazume: Finished! Your work is beautiful, congratulations. You are very talented. Love your work-all!!!! Will you share what the paste is? Would love to know. I will check on that and let you know! Well done – great finish! The new project looks interesting – is it a JEC design? Yes, it’s called Lantern Plants. Gorgeous – and the new one looks intriguing, too! Wao!! Your designs are inspiring me to do something more in my embroidery designs.